The MMR Vaccine And CDC’s Wanting Comments: Who Will Comment? How many readers—parents, in particular—know that there are several vaccines that should not be given (injected) together at the same time under any circumstances? Yes, that’s a fact! Those vaccines are the MMR (Measles, Mumps and Rubella) and the Varicella (Chickenpox) vaccines. And yet, there’s Merck’s MMRV—Measles, Mumps, Rubella and Varicella! It has been known for decades that having measles and chickenpox virus infections at the same time doubles the rate of measles caused febrile seizures. That means even more brain damage. It doesn’t matter if the viruses have been insidiously attenuated to not show symptoms or not. Comparing MMR and MMRV outcome proves that it is still true. Here’s the unfortunate vaccine damage story of Jason, in Alabama, who received the MMR and Varicella vaccines as the same time when four-and-a-half years old. Did you hear his parent say that the medical doctor and pediatrician said, “The vaccine did it”? David in Huntsville, Alabama, received the MMR, Hepatitis A and Varicella vaccines at the same time at 17 months of age, and 4 hours later—almost to the minute—went into seizures that lasted for 25 minutes while his then-foster parents rushed him to the hospital emergency room. Did you catch that ‘wiggle-room-wording’ in the last sentence above? First of all, “recommendations” is not the correct terminology; vaccines have become “mandates”! Secondly, “balance scientific evidence of benefits for each person” is nothing short of a joke because nothing is done to ascertain or make certain that an infant, toddler, teen or adult is not immunocompromised by a vaccine’s ingredients as former Director of the National Institutes of Health, Dr. Bernadine Healy, MD, was quick to point out in this video when she talked about children being more susceptible to vaccines due to genetic, metabolic, mitochondrial, and/or immunological issues! The absolute global protocol for vaccine administration is “one size fits all” with limited exceptions, e.g., medical exemptions only, in places like California, Mississippi, and West Virginia with other states considering implementing the same. 1) a child who has already had a serious vaccine reaction – NOW SOME GROUPS, such as Kaiser, have essentially made this the only qualifier for a medical exemption – a near death level vaccine reaction, but that is not the law, and the wording of the law was just quoted. 4) reactions in more distant relatives require looking at genetic biomarkers or polymorphisms that have been associated with vaccine reactions, because documenting a 4th cousin once removed had an untoward vaccine reaction is likely to be challenged at some point. 5) Children with chronic medical conditions may qualify depending on the condition. 6) Children in families where a family member has a neurological or even psychiatric disease may qualify depending on what that is and if there is any association with untoward reactions to vaccines. 7) Children with a documented polymorphismsm [sic] that have been associated with untoward vaccine reactions, such as the MTHFR gene, could qualify for a medical exemption. Then there’s the vaccine injury story of the Birmingham, Alabama, two-year-old Kinsley, who contracted rheumatoid arthritis! In this video you will hear her mother tell how the doctor told her she was crazy for suggesting vaccines could have caused the problem. However, Kinsley’s parents found medical help for her with holistic medical doctors. Today Kinsley is a normal and lovely teenager, as you can see from the photograph her mother proudly shows. If her parents would not have gone the holistic route, Kinsley probably would have been crippled. Furthermore, vaccines go deeper into the ‘rabbit hole’, not just metaphorically-speaking. Here’s Dr. Andrew Wakefield, MD, discussing the problems revolving around the Mumps vaccine and the whistleblower lawsuit in Federal court in Philadelphia, Pennsylvania. The Mumps active is/was part of the MMR vaccine involved in that lawsuit. Dr. Wakefield mentions how Merck introduced rabbit’s blood to ‘facilitate’ favorable test results during efficacy testing. In this video, Dr. Wakefield explains more about the MMR vaccine, especially mentioning ataxia [the loss of full control of bodily movements (3)]. Then there’s glyphosate in vaccines! Glyphosate is a World Health Organization-IARC-declared Class 2A carcinogen . Researcher Anthony Samsel, PhD, documents that independent laboratory tests confirm 2.90 ppb glyphosate in Merck’s MMR-II vaccine in this video. Glyphosate also is an “endocrine disruptor” negatively affecting human hormones. Studies show that as an endocrine disruptor, glyphosate may cause early puberty or disruption  and negatively affected testosterone levels and testicular morphology in Wistar rats . Currently, the CDC has an open comment period for the MMR vaccine, which ends December 19, 2016 and about which I wrote this article. Here’s the CDC comment website https://www.regulations.gov/docket?D=CDC-2016-0094 to file your comments. As of November 19th, there were only 189 comments received! If you remember my series  about the CDC’s power grab to quarantine and vaccinate, fines up to $500,000, etc., you responded most admirably with 15,583 public comments received . That’s not a very good ‘track record’ regarding vaccine damages that were supposed to be covered by the 1986 law that Congress passed, but also gave “get out of jail free” cards to vaccine makers exonerating them of any legal liability for damages their vaccines cause! 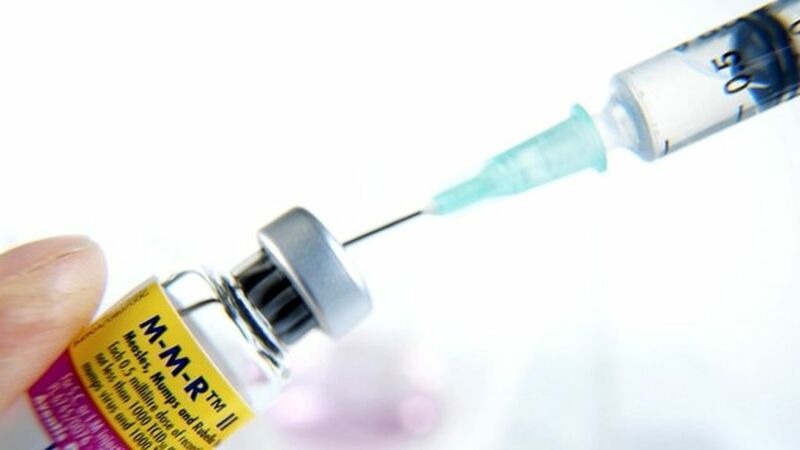 After reading the above information about the MMR vaccine, don’t you think you have an obligation to file a comment about it, or not complain and become distraught when that vaccine combo is forced upon your children or you, as adults up to 59 years of age  now are mandated to get it? This site gives each state’s statute number, which may be helpful to readers. However, exemption postings may not be current, as with California. Catherine J Frompovich (website) is a retired natural nutritionist who earned advanced degrees in Nutrition and Holistic Health Sciences, Certification in Orthomolecular Theory and Practice plus Paralegal Studies. Her work has been published in national and airline magazines since the early 1980s. Catherine authored numerous books on health issues along with co-authoring papers and monographs with physicians, nurses, and holistic healthcare professionals. She has been a consumer healthcare researcher 35 years and counting…. Source: The MMR Vaccine And CDC’s Wanting Comments: Who Will Comment?